"Do you solemnly swear to tell the truth, the whole truth, and nothing but the truth?" the jury woman says. "I do." I say. The police lead me over to a chair. "Why haven&apos;t we heard from Captain Rogers yet?" one of the defence secretaries asks. "Well I don&apos;t know if there is much left for him to say. I personally think that the wreck in the Potomac made his point fairly eloquently." I say, getting snappy. I look down at my watch. Still no call from Sam. He is staying with Steve until I get back from this stupid meeting. "Well, for starters, he could explain how this country is supposed to continue to maintain its national security now that the two of you have laid waste to our intelligence apparatus." The Secretary of Defence says. "Hydra was selling you lies." I say, standing up. "Many of which, it seems, that you had a hand in telling, Ms. Stark." The secretary says. "Agent, you should know that there are some on this committee who feel, given your service record, both for this country and against it, that you belong in a penitentiary. Not mouthing off on Capitol Hill." "You aren&apos;t going to put me in jail. 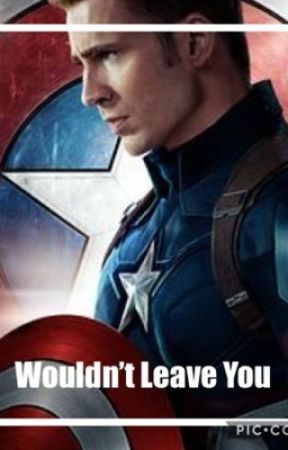 Or any other loyal S.H.I.E.L.D. agents." I say with a slight smirk. "And why do you say that?" the judge says. "Because you need us. Two years ago, aliens came out of the sky. The Avengers, loyal S.H.I.E.L.D. agents were the first responders to the attack. Today, the largest intelligence agency fell. For the past two years, our teams of agents have been gathering dangerous tech that the human race is not ready to see, let alone control. We are the line. Between the world, and the universe. We are protecting citizens of your country." I look at all of the government officials in front of me. "Yes, the world is a vulnerable place. And yes, we help make it that way. But we are also the most qualified ones to protect it. So if you want to arrest me, arrest me. You&apos;ll know where to find me." I finish and walk out, cameras flashing and questions flying. I hate hospitals. They are so sterile and so cruel looking. Most of my life has been spent in either the field or a hospital. I have visited S.H.I.E.L.D. agents in the hospital before, but this time is different. This S.H.I.E.L.D. agent is different. This agent is my best friend. Wait, scratch that. He is more than a friend to me. He is... I can&apos;t even describe it. The effect that Steve has on me is addictive. I never want to leave his side. I never want to leave him behind. One touch sends shivers down my spine. One smile, my knees melt on the spot. One chuckle makes my heart flutter. If only he knew how he controls me. And I am sitting here now, watching the machines control him. His cold, large hand in mine, while a machine breathes for him. His injuries were fairly extensive. He was shot twice. 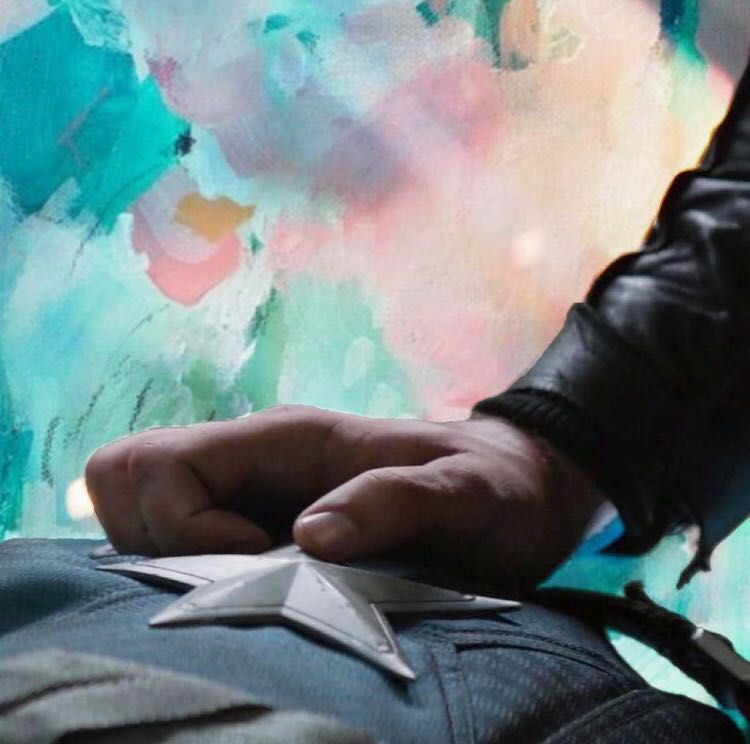 Once in the upper thigh, once through his stomach; both by the Winter Soldier. He has a broken ankle and leg. He has a broken cheekbone. Several cuts and bruises. All by the Winter Soldier. I stand up in pure rage, wiping the light tear stains off of my face. I storm out the door and right into Sam. "Hey. How you holding up?" He asks. "That&apos;s the thing Sam. I am not &apos;holding up&apos;. I am falling, spiraling down and I don&apos;t know if I can ever stop." Sam looks at me with kind eyes. "I want to find him." "The Soldier. I want him dead." I say as my hands start shaking and I start crying. "Woah. Rachel calm down. Your eyes... they are bright red." "My eyes? Sam? Why are my hands shaking Sam? What&apos;s going on?" I say panicked. Tears start streaming down my face as the room starts to shake. The electricity crackles. Sam winces. "Rachel! Listen to me! You need to stop! Okay? If you keep playing with the electricity, it will go out and Steve will die. Just calm down!" Sam yells at me. I keep crying, pain taking over my whole body. I fall to the floor and black out. I wake up with a scream. I pant and quickly look around. There are needles coming out of my arms, tubes coming out of my nose. The room is dark, no light paint like in a hospital. But the bright lights are the same. I try to sit up, but I realize that I am strapped down. Arms, legs, hands, even my fingers and neck are strapped to the table. Where am I? Suddenly, a man walks in with a dark lab coat on. "How are you feeling?" He says with a smile and a THICK german accent. "Where is Captain Rogers?" I ask, my voice wavering. "I don&apos;t know. You tell me!" He says, still smiling. 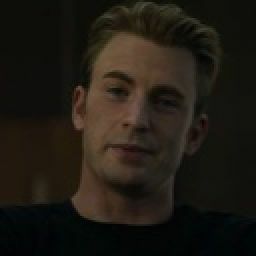 "I will not speak until I know where Captain Rogers is." I say, my voice shaking. "Well, he&apos;s dead. The Winter Soldier killed him." The man says, writing things down on his clipboard. My hands start to shake, the electricity starts to crackle. The room starts shaking. "Marvelous." The man says. "Who are you?" I ask, struggling against my restraints. He gives me a wry smile. "The who doesn&apos;t matter, Miss Stark." My hands begin to shake even more violently. "How do you know who I am?" I ask, pain flooding my body. He chuckles. "Because Miss Stark, HYDRA knows everything." Music. It&apos;s a lovely thing. It can transport you to another place and time. Music can make you feel happy or sad. Music is all I am hearing. I open my eyes, only to see hospital walls. My body floods with soreness. I turn my head to the right and see Sam. Not the person I wanted to see but he was a close second. Sam had a tear running down his face, his eyes clouded over. "On your left." I say, trying to make him laugh. He smiles and looks at me. He quickly wipes his tear away, eyes filling with emotion again. "Hey buddy." He says. He fakes a smile. "How do you feel?" "A little sore, but okay. I&apos;ll be back up and walking in two days max." I say, with a slight chuckle. "You know, that&apos;s one thing I don&apos;t miss. Recovery." I say still smiling. I look to Sam, who&apos;s head is in his hands. "Sam, what&apos;s going on?" He looks to me, tears streaming down his face. "I tried to stop them Steve, I really did. But I just couldn&apos;t..." he lets out a sob. "Sam, what happened?" I ask. "They took her." Sam says. "HYDRA&apos;s got her Steve. And I couldn&apos;t..." I cut him off by standing up, anger, grief and fear flood my body. I grab the clothes that are laying by the door. They are mine, so Rachel must&apos;ve brought them for me. I look right at Sam, then storm out. Where do you go when there is no S.H.I.E.L.D. for backup? The last resort.